Attention all grassroots supporters of Religious Liberty. Party Platforms are going to be written as the parties prepare for the State (and National) conventions this year. Many Senate District/County conventions are going on this Saturday, April, 21st. Look online or call your county headquarters for meeting details. This means you have a great opportunity to take a stand for religious liberty (and other important issues) by submitting a resolution to your party’s platform at your local convention. A resolution is a statement of principle that is voted on at a political convention. To be eligible to participate, you must sign an affidavit stating your Party affiliation for the May 29 Primary. By claiming party affiliation at the Senate District/County convention you will not be able to vote in another party’s Primary or Run-off election.You may present as many resolutions as you like, but remember to make 12 copies to give to the Platform Committee members. 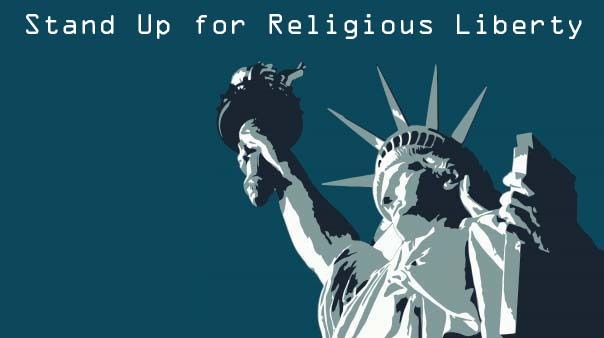 BE IT RESOLVED, that we call upon the Texas Legislature to safeguard our constitutional right of religious liberty by passing a state constitutional amendment that prohibits any government agency from burdening a person’s free exercise of religion. Be it further resolved, that a copy of this resolution be sent to the ___________ Senatorial/County Convention Resolutions Committee from Precinct # ___ of the __________County ______________ Party, with the recommendation that it be passed and sent to the State Convention Platform Committee of the ___________Party of Texas. Download a PDF version of the proposed resolution. This entry was posted on Friday, April 20th, 2012 at 6:52 AM and is filed under Elections, Update. You can follow any responses to this entry through the RSS 2.0 feed. You can leave a response, or trackback from your own site.